Being a good corporate citizen is about doing the right thing. Throughout our history, Ground Effects has considered the welfare of others a vital concern. Every employee, from upper management to the newest associate, has in some way given of him or herself to benefit those less fortunate in our community and around the world. The Windsor Downtown Mission is the latest cause taken up by Ground Effects, as we help to feed and provide shelter to over 200 people a day. 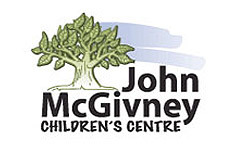 The John McGivney Center, where severely handicapped children receive the finest of care, desperately needed financial assistance to enable them to move to larger and more modern quarters. Ground Effects supported that initiative and continues to aid in much-needed funding. Numerous other local charities receive gifts of time and money from our associates through our participation in fundraising activities, golf tournaments and the like. We continue to support "Computers For Kids" a local effort to provide technology to families who can't afford it. As the hub of support for Make-A-Wish® Southwestern Ontario in Windsor/Essex, we strive to make life a bit brighter for children with critical illnesses. Globally, Ground Effects was an active participant in providing relief efforts after the devastation in Haiti, and has since delivered emergency shelters, shoes, clothing and personal hygiene products to orphanages, schools and refugee camps throughout the island. 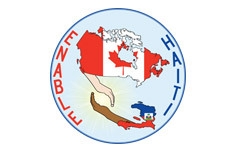 Ground Effects Ltd. and the Cowan Foundation are raising funds for Enable Haiti with the 2018 Read-a-Thon. From June 29/18 to September 24/18 the children of our employee family ages 4-15 will be able to help support over 900 Haitian orphans just by reading a book. Choose to participate with your own children or a child you would like to sponsor. The goal is to read 1,000,000 pages. It all starts with you-one page at a time! Being a good corporate citizen is delivering Christmas food baskets anonymously to families in need. It's caring enough about others to spend some of your own valuable time for the greater good. At Ground Effects, we do our best to live up to that standard. Ground Effects Ltd./LLC fully supports the goals and objectives to prevent the use of certain "conflict minerals" that directly or indirectly finance or benefit armed groups in The Democratic Republic of the Congo (DRC). Our suppliers are required to acknowledge our code of conduct and are responsible for passing the same requirements on to their suppliers.